provinces giving the country people their first sight of Shakespeare. 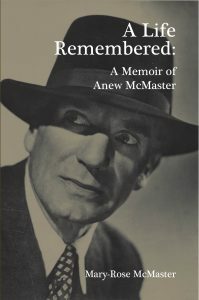 Anew McMaster died over fifty years ago, and though he figures largely in biographies by Micheal O’hAodha, Simon Callow and his brother-in-law, Micheál MacLiammóir, he has not had, as yet, a full book devoted to his life and work. 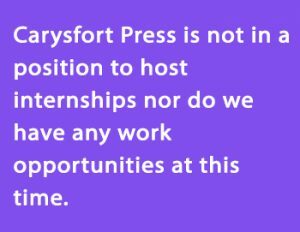 Mary-Rose McMaster, daughter of Anew McMaster, was born in Dublin and spent most of her life in the theatre. When she was twelve, she became a member of her parents’ classical theatre company, at first playing small parts and graduating eventually to Desdemona, Juliet and Ophelia among others. After marrying American actor, Jack Aranson, she moved to San Francisco and together they formed their own production company in which they performed together for many years. She semi-retired from the stage in the mid 1980s and turned to directing and producing plays. Before completely retiring, she performed an adaptation of Micheál MacLiammóir’s solo performance of ‘I Must Be Talking To My Friends’. Mary-Rose has lived in Mill Valley, California, for many years and spends her time with her family, including her great grandchildren.